“You may take any path”, said the advanced beings as Lobsang Rampa thought-through his options. He had been in an accident which had almost killed him and the thing that would bring him back was this choice - Return to earth and complete his mission facing tremendous odds, or stay here, in the other realm where all was peaceful and safe. Like all pioneers before him and all pioneers after him, Lobsang Rampa took the road less traveled. It was this decision that led to the writing of 18 books on metaphysics which have helped millions of people on earth, including one spiritual adventurer, Brahmarshi Subhash Patri. Our story began in 1947. The ‘Dead Sea Scrolls’(biblical texts 800-1000 years older than the Holy Bible) had been unearthed from the Qumran Caves in Israel. ‘The Diary of Anne Frank’ - the memoirs of a 15-year old girl in second world-war Germany started the healing of millions of Holocaust survivors around the world, and India after centuries of subjugation raised her head towards the heaven of freedom. In these interesting times, in the center of the Indian peninsula, a boy was born. His father’s name was Shri Patri Venkata Ramana Rao and his mother’s name was Shrimati Savitri Devi and they named him Subhash. But change was on its way, and the agent came from Myanmar, where many years ago, Siaji Uba Khen, had said to his meditation student, “Goenka!, two thousand five hundred years have passed, something is going happen”. He was referring to a 2500-year-old prophecy attributed to Gautam Buddha, according to which, meditation would spread through the globe in our present times. S.N Goenka (or Goenkaji as he was known by his students) practiced meditation under Siaji Uba Khen for 14 years. He then moved to India from Myanmar and taught meditation to thousands of students, including a close friend of Subhash. When the close friend, Mr. Ramchenna Reddy introduced the magic of meditation to Patriji, he was enraptured by it. He read heaps of books, did hours of meditation and experimented with many spiritual concepts. Before long, he started transforming. And then, in 1979, while he was reading the book ‘You Forever’ by Lobsang Rampa he completed his inner journey. The eyes that had seen the mountains, now saw the field that held them. 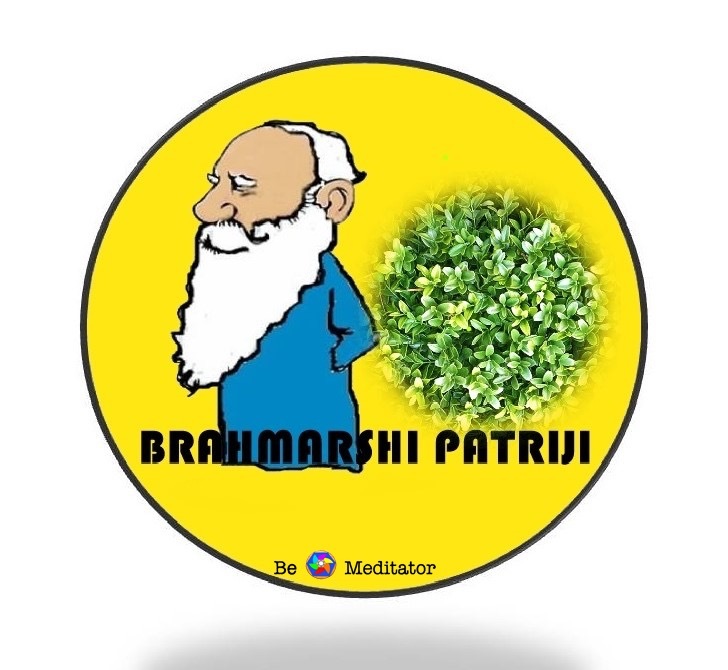 Having perceived that his mission on Earth was to teach meditation, Patriji went to work. One person at a time, he persuaded his family members, his friends, and his colleagues to take up meditation. Gradually he started teaching in homes, offices and educational institutions. He traveled to remote villages on weekends and even taught a stranger he met in the Himalayas. At that time, Patriji used to smoke cigarettes. He asked a tourist he was speaking to, to take up meditation. The tourist said, “If you give up smoking, I will take up meditation”. Without waiting for a second, he threw down the cigarette and never picked it up again. He adapted his methods to accommodate the uniqueness of his students. With some he used logic; with others he used stories; and with many, like a Zen master, he used paradox, to invite them out of their unconsciousness. Slowly, his work began to spread. More and more people came to him to learn meditation. Some core students showed up every night. Over the next 14 years, the volume of his work increased so much that there was more work than time. And it brought him face-to-face with the next big decision of his life. It was 1992 and he had been thinking about this question for several years. He was 45 years old. His older daughter Parinita, 14 - was a student. His younger daughter Parimala,10 was also a student. His wife Swarnamala ji had become enlightened. 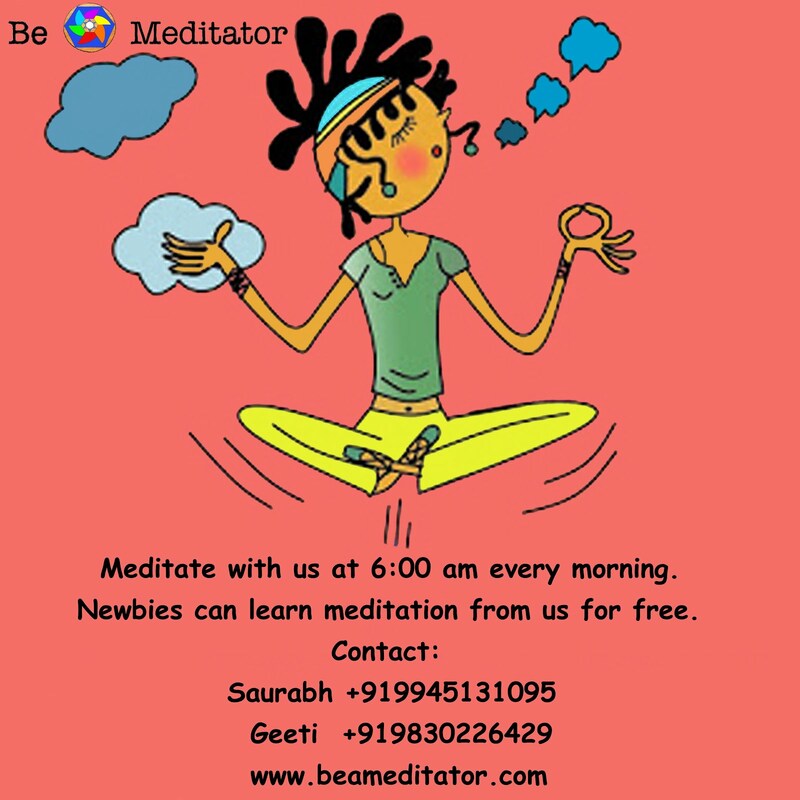 Patriji sensed that the time to answer the question had come - “Should I teach meditation full time?”. When he sat in meditation with some of his close students that night. One of them, Paul Vijay Kumar, connected with Buddha and asked Buddha “Should Sir teach meditation full time?” Buddha, like a true teacher, gave no answer but asked another question. “Ask Subhash – What is love?”. When Patriji considered the question, the answer came from within - “Love is nothing but sharing your spiritual wisdom with the world”. 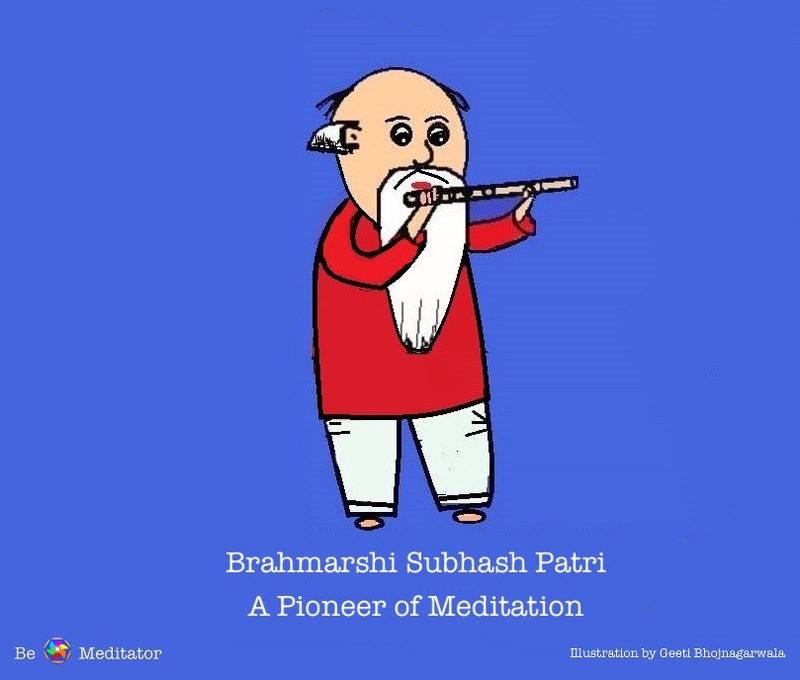 The next day Patriji resigned from his job and pledged all his time to the pursuit of his mission to keep on teaching until every person on earth became a meditator. His first post-retirement project was a book called ‘Be a Master’. The next few years were both rewarding and demanding. 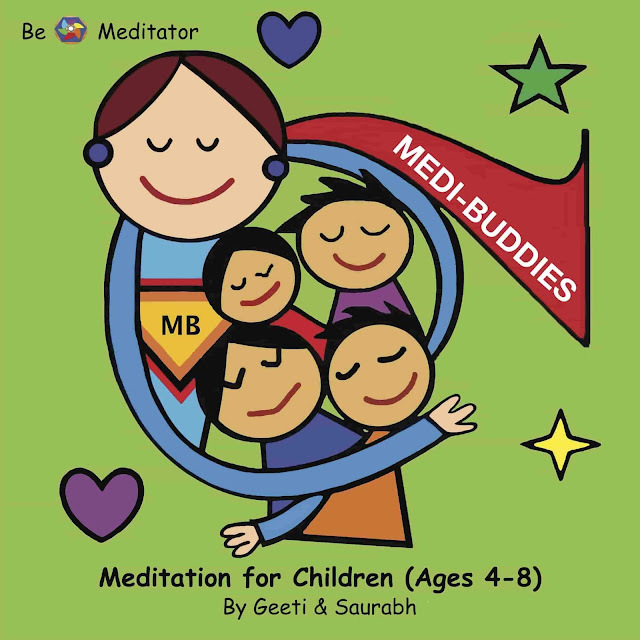 Patriji had felt that if he served the universe by teaching meditation, the universe would look after his family. With this faith, he often brought home ten, sometimes twenty students and would not let them leave until they had had something to eat. Somehow food appeared at their doorstep, as did other forms of help. His children got scholarships and did well in their education. Help and resources came in the nick of time. And though the path was unknown, and cast many a turn, Patriji endured and his work matured in strength and scale. Since his enlightenment in 1979, Patriji had read more than 50,000 books. Among them was a book called ‘The Secret Power of Pyramids’ by Bill Shult and Ed Pettit. This book made a radical claim - that Pyramids had healing and preservative powers. 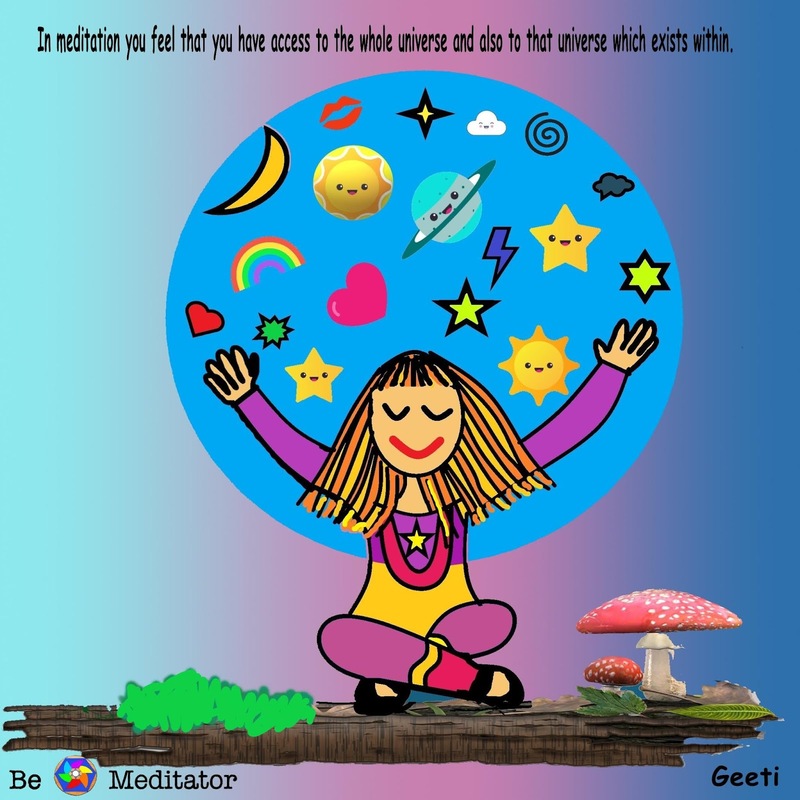 Patriji validated this claim through his own experiments and added a dimension of consciousness to his experiments and this is his pioneering contribution to the field of meditation. He concluded that a meditator’s meditation could be 3 times more powerful inside a Pyramid, than outside of it. For new meditators, this was a path-breaking discovery and it led Patriji to found the Pyramid Spiritual Societies Movement. The mission of the Pyramid Spiritual Societies Movement (among others) is to spread the beneficial uses of Pyramid energies for meditation. The first physical contribution of the society came in 1991. A businessman named Mr. B. V. Reddy approached Patriji with an offer to build him a building in which he could teach meditation. Patriji replied, “I already have my home, but if you want to help, build a Pyramid.” And the first pyramid was built in Kurnool district. The next Pyramid was built 5 years later in Uravakonda, India. This was followed by other pyramids in Karnataka, Tamil Nadu, and other Indian states. Today the Pyramid Spiritual Societies Movement(PSSM) has erected hundreds of Pyramids in India and abroad. It has played a part in catalyzing a Pyramid revolution here on earth. Pyramid based lamps and devices are a common feature in most new-age stores anywhere in the world today. The PSSM has created several devices that use Pyramid energy including Pyramid Knee Caps to relieve pain, Pyramid eye covers to improve eyesight and Pyramid containers to preserve food. That ancient knowledge, which had been lost after the decline of the Egyptian civilization has been reawakened by Patriji and the PSSM. In Patriji’s journey, we find the story of a pioneer who answered the call of destiny. As he started teaching one person at a time, his journey was helped by other pioneers - Lobsang Rampa, S. N. Goenka, Mr. Ramchennna Reddy. In his turn, he lit the way for millions of pioneers who answered the call of their own destiny. Each pioneer paves the way for others, making adventure a grand tradition on our planet. This was our learnings from the life of Brahmarshi Subhash Patri - husband, father, friend, and most of all, a pioneer of meditation.